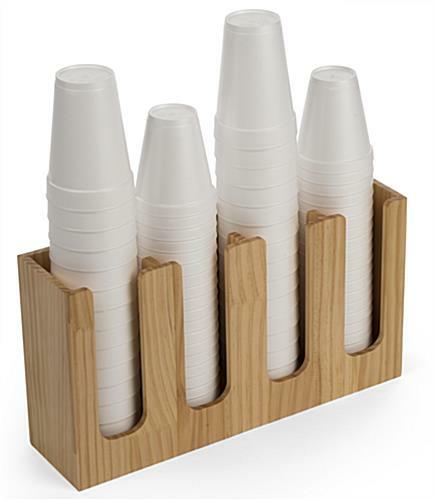 This cup and lid holder organizer for coffee shops has four compartments to hold all your paper, plastic, or Styrofoam disposable drinkware. 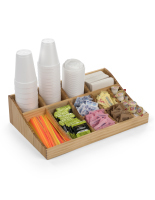 The compact, no-frills design helps keep your beverage station neat and organized. 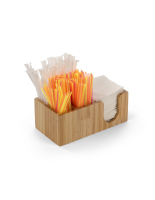 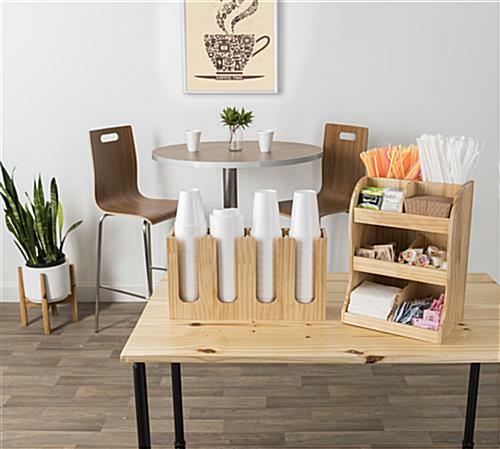 With its natural pine finish, this wooden cup and lid organizer for coffee shops fosters a more relaxed, comfortable vibe than plastic or metal countertop dispensers. 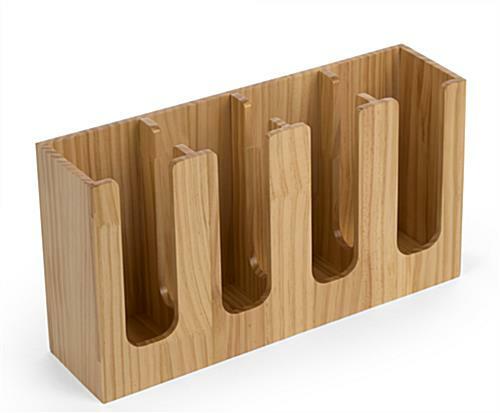 Side cutouts allow for easy access, even when stock is low. 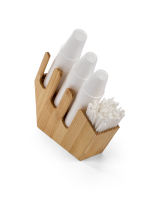 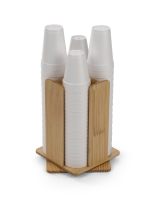 The top-loading design makes refilling quick and simple. 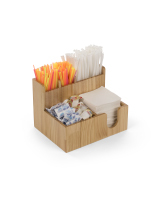 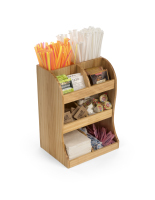 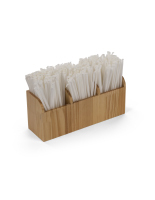 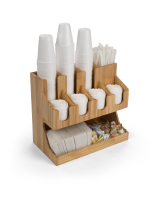 Maximize the space on your self-serve drink station with this cup organizer for coffee shops. 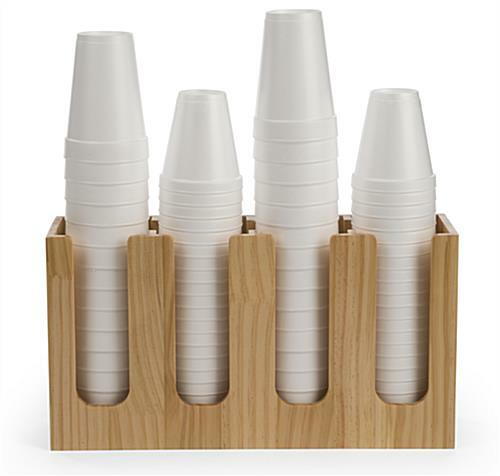 17.4" x 9.9" x 4.6"
4.0" x 8.9" x 3.9"